The source of chemical anthelmintics (levamisole, flubendazole, and thiabendazole) had limited the success of gastrointestinal nematodiasis control in sheep and goats and thus awakened interest in the study of medicinal plant extracts as alternative sources of anthelmintics. 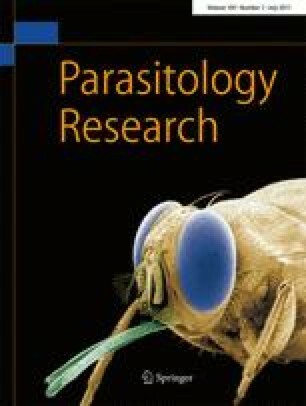 The egg hatching and larvicidal effect of indigenous plant extracts were investigated against the sheep parasite, Haemonchus contortus. The purpose of the present study was to assess the efficacy of leaf, bark, and seed ethyl acetate, acetone and methanol extracts of Andrographis paniculata (Burm.f.) Wall. ex Nees., Anisomeles malabarica (L.) R. Br., Annona squamosa L., Datura metel L., and Solanum torvum Swartz were tested against the parasitic nematode of small ruminants H. contortus using egg hatch assay (EHA) and larval development assay (LDA). The assays were run in 24-well cell culture plates at room temperature with five replicates. All plant extracts showed moderate parasitic effects after 48 and exposure for egg hatching and LDA, respectively; however, 100% egg hatching and larvicidal inhibition were found in the methanol extracts of A. paniculata, A. squamosa, D. metel, and S. torvum at 25 mg/ml and the effect was similar to positive control of Albendazole (0.075 mg/ml) and Ivermectin (0.025mg/ml) against H. contortus, respectively. The EHA result showed the ED50 of methanol extracts of A. paniculata and D. metel, which were 2.90 and 3.08 mg/ml, and in larval development assay, the ED50 was 4.26and 3.86 mg/ml, respectively. These effects remain to be confirmed through in vivo studies. The authors are grateful to C. Abdul Hakeem College Management, Dr. S. Mohammed Yousuff, Principal, Dr. K. Abdul Subhan, Associate Professor and HOD of Zoology Department, and Dr. Sait Sahul Hameed, Associate Professor in Zoology, for the facilities and support.The authors wish to thank Dr. A. Sangaran, Department of Parasitology, Madras Veterinary College, Tamil Nadu Veterinary and Animal Sciences University, Chennai, India for identification of parasite. Schoenian S (2003) Integrated parasite management. Maryland Cooperative extension. Maryland Small Ruminant www.sheepandgoat.com/articles/IPM.html.